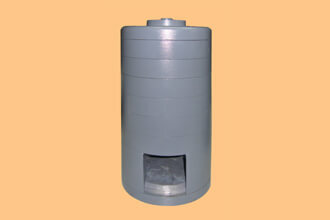 This Lead Shield is designed to shield Scintillation Detectors of NUCLEONIX make. LS 250 is built-up of SEVEN interlocking rings, excluding top & bottom discs. The bottom ring is provided with a small opening so that the cables from the Scintillation Detector Pre-amplifier base could be taken out for connecting to the Gamma ray spectrometer counting system. 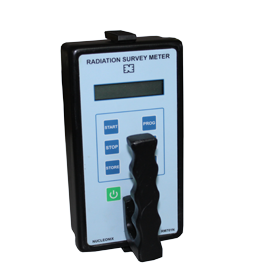 This Lead Shield Type: LS 250 is compact and just enough to accommodate any of the Scintillation Detectors supplied by NUCLEONIX. 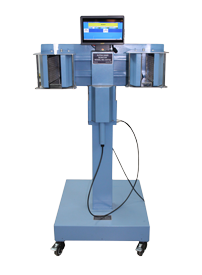 The top disc is provided with handle to lift is away for introducing the source on the flat crystal top and liquid vial into the well type crystal respectively. The building block type of construction of lead shield makes it convienient to assemble. The inner side of the lead shield is lined with Aluminium to minimise scattering.